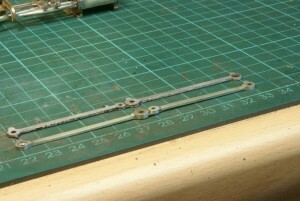 The next task in the instructions moved onto the coupling rods. Take care here as this is another situation where you need to have a good photograph of the loco that you want to model. 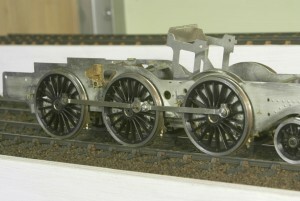 The early build locos had fluted rods then from 80079 they changed to solid rectangular rods, however with rebuilds etc. 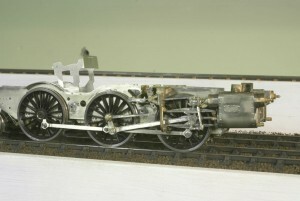 the best way to determine the rods fitted is to have a good photo of the specific loco at the time period you want to model. 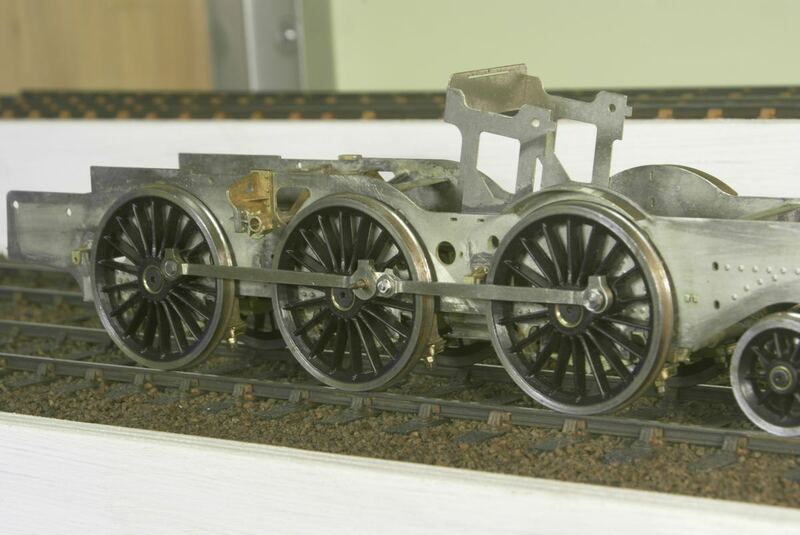 As supplied the coupling rods are built up from 3 layers of lamination and are intended to represent the fluted rods, however for my chosen loco it requires the solid rectangular rods. Two laminations stay attached for folding and then the third is overlaid. One of the laminations has the fluting half etched into it, so I worked out that by careful folding the wrong way I was able to hide the fluting inside the laminations and produce the solid rods required. 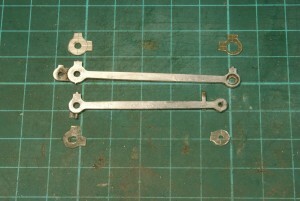 However when placed against the connecting rods the crankpin bosses looked a little bit weedy in comparison. Fortunately thanks to the excellent service from a well known bookshop I had a copy of Geoff Holt’s loco building guide and one of his tips for etched rods was to solder on another layer of lamination around the bosses. There was plenty of spare nickel on the sheet from the coupling rods, so a few blanks were roughly hacked out with a piercing saw. Not too fussed about getting the shape perfect as once they were soldered on I could simply file them back to the shape of the etched rods. A little bit of filing later and the results were an improvement. 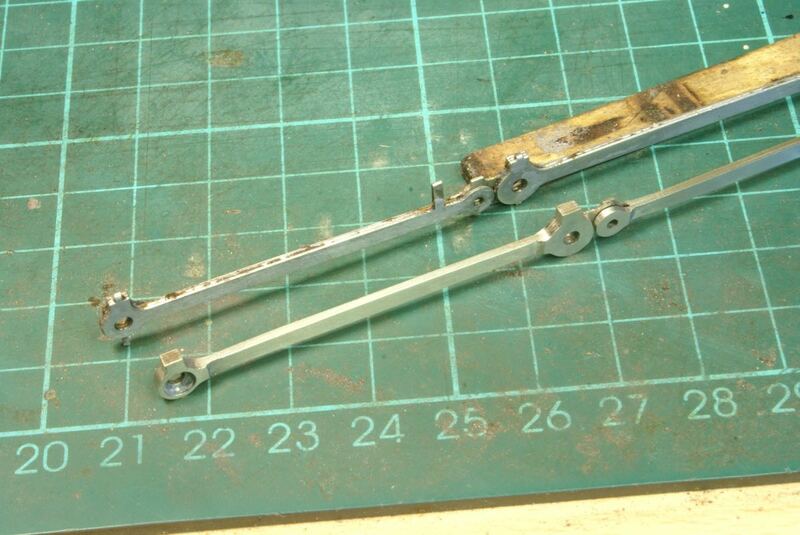 So even more cutting and more filing I finally have a set of coupling rods. 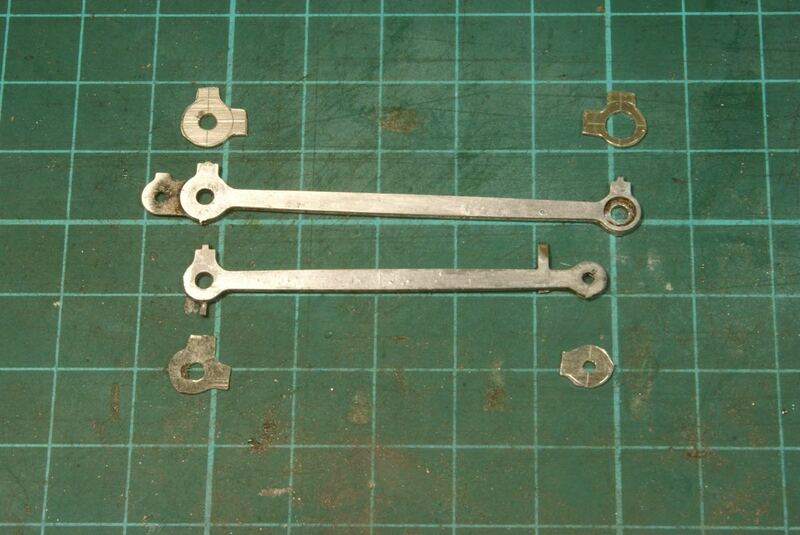 Next job is to sort out the crank pins, the leading driver will need some form of recessed captive nut. I’ve a couple of ideas to try but for the moment it’s probably just going to be a countersunk screw as a temporary measure. 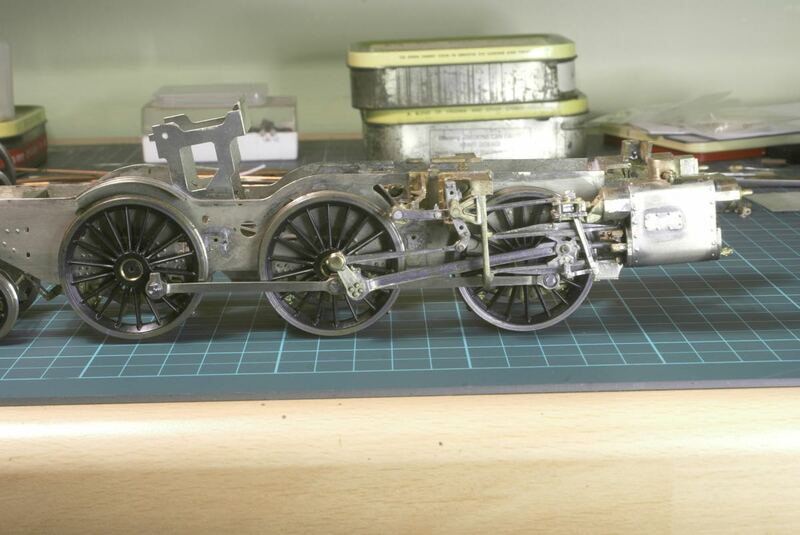 So the task in hand was to sort out the coupling rods and crankpins. 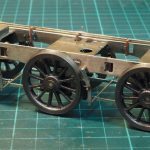 For the leading driver there is precious little room between the back of the crosshead and slidebars and the wheel. So as an interim solution I turned a small steel bush, drilled clearance for 10BA. I then took a 10BA Hex head bolt and thinned down the head and filed the hex a bit smaller to fit a 12BA nut spinner. This worked quite well and provides a flush fitting. 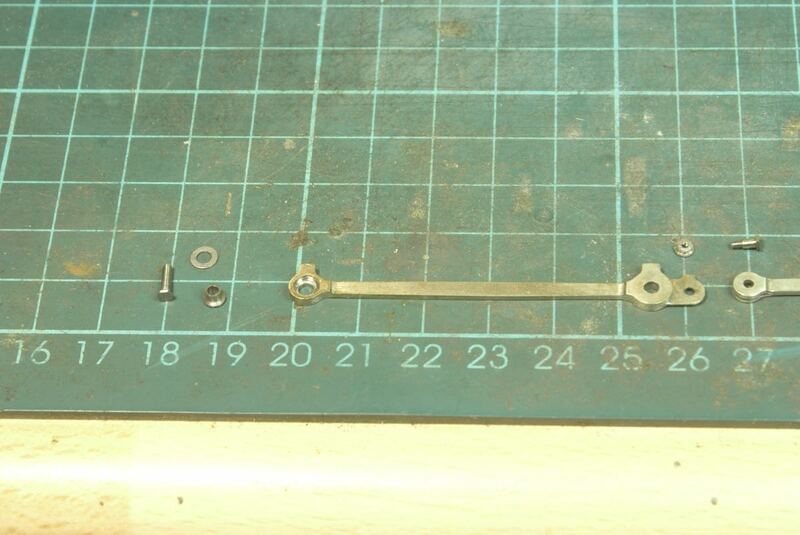 The two steps back – step one backwards I can’t figure out the Scale7 supplied crankpins. By that I mean I realise that the 10BA thread is intended for the driver but the crankpin itself has a small steel collar on it, presumably to be able to tighten it to the driving wheel. 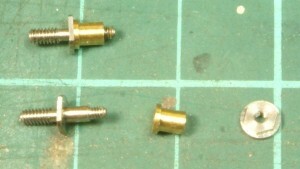 There is then the brass bush to fit on followed by a rather large crankpin nut. When the brass bush is fitted with the steel collar there is quite a gap between the driver and the coupling rod and unfortunately larger than the leading driver so that the coupling rod effectively splays out to the middle drivers. 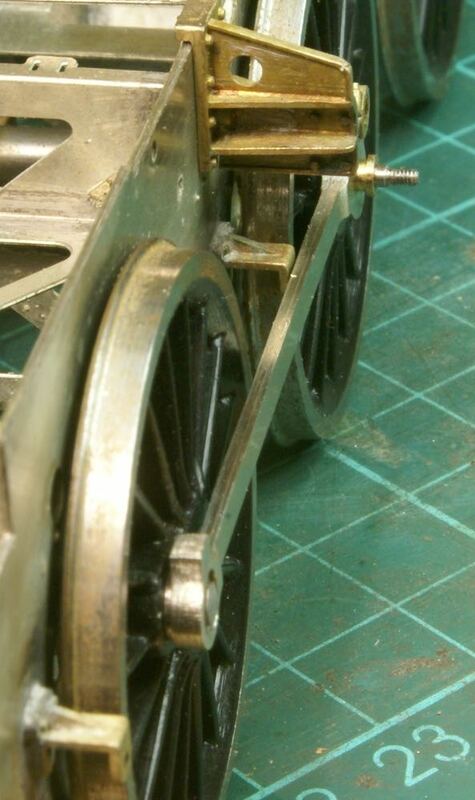 If I padded out the leading crankpin in a similar way then it would interfere with the crosshead! I think I’m going to be threading a bit of steel rod 10BA and fixing with loctite. 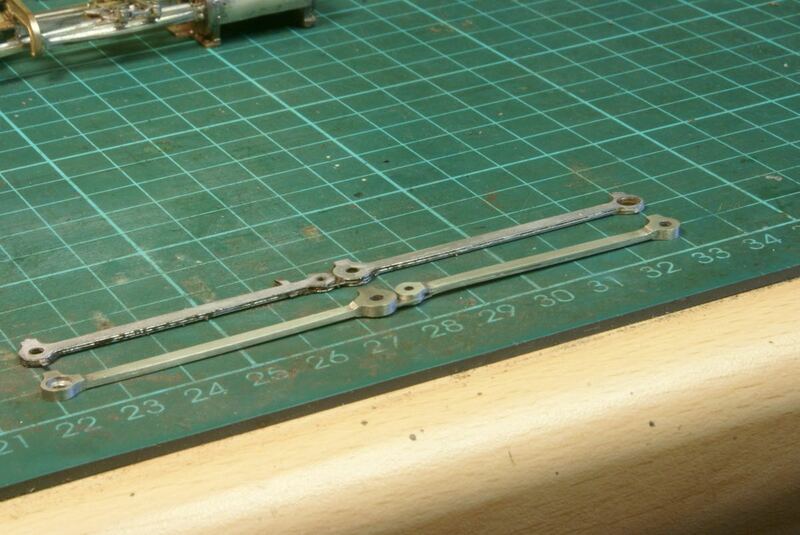 Step 2 backwards – there is sod all clearance between the coupling rods and the brake hanger brackets. It’s too close for comfort. 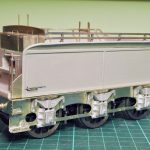 I suspect that they are a legacy from the Finescale kit, whose slightly wider tyres and gap to the frame would be enough clearance. So I have to look to taking them off and trying to make them slightly narrower. 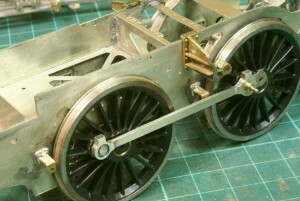 Next up was sorting out the coupling rod between the middle and rear driver. 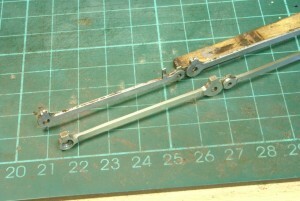 In the kit is supplied a small steel rivet which you are supposed to swage over to hold the two together. It wasn’t really suited for my needs as on the prototype it is quite a distinctive bolted joint and because I’d thickened up the bosses then the rivet was too short. So I soldered a 12BA nut to a washer which I could then file down to a suitable height, the 12BA bolt was also suitably bushed. This photo also shows the bushing arrangement for the leading driver. 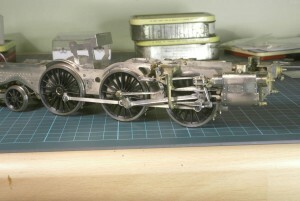 Once assembled it starts looking the part. 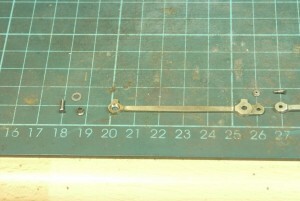 For the rear driver I’ve used the crankpin nut supplied with the Scale7 crankpins just as a temporary solution. 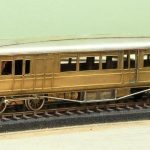 They’re not really the right style for the loco but it gets it running for the moment. First fit of the cylinder and motion showed a few interference problems. Most could be sorted with a little filing and fitting. 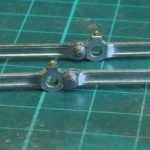 The leading driver crankpin boss has been striking the rear of the motion bracket causing some small scoring in the bottom righthand quadrant on the boss. A few more tweaks and the motion is more or less complete, it all rolls smoothly without any binding now. Still a few little things to finish off but the next step I think is to get it on the rolling road ( which I haven’t got!). 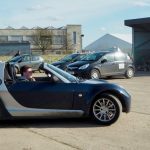 Once this stage is reached then the instructions recommend going back to the bodywork. So the chassis is put to one side before going back to the bodywork.